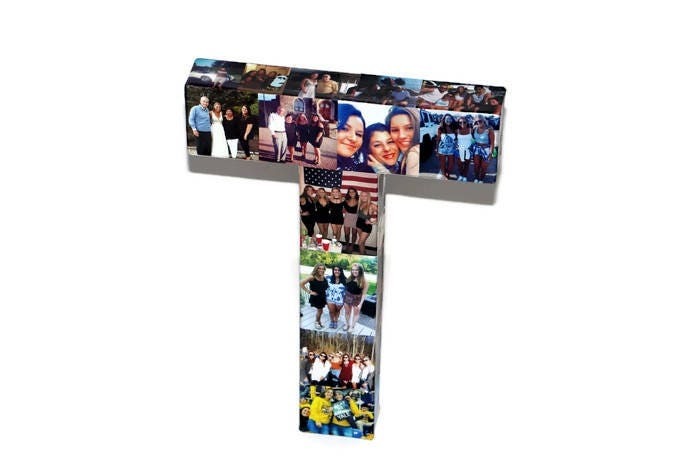 These photo collage initials are perfect for any occasion. 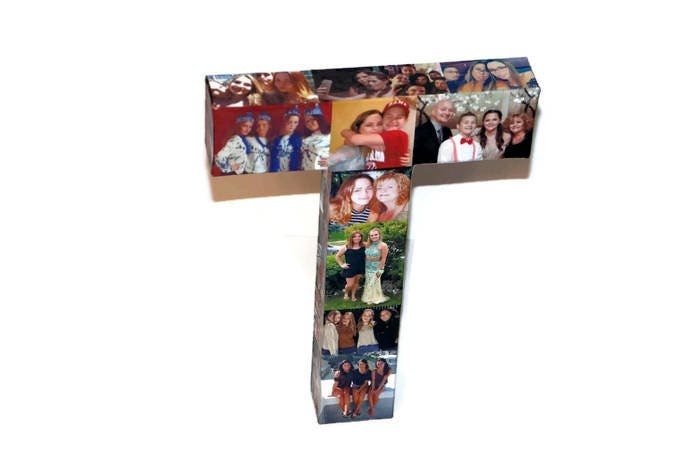 You can personalize them by adding your own personal photos. Choose between 8” 12” or 16” any one letter of your choice. 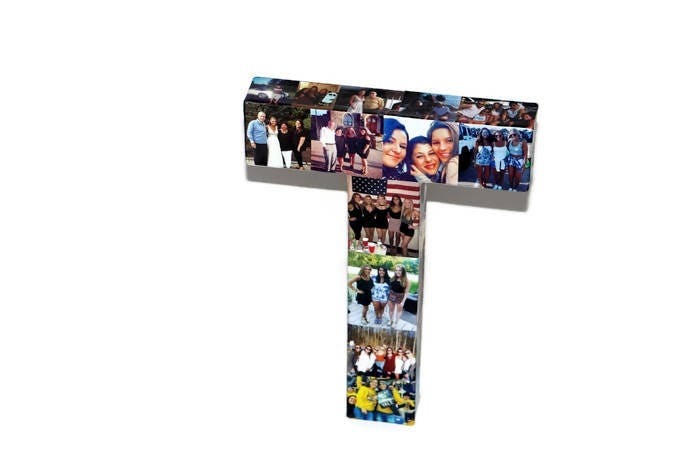 Custom photo initials are handmade and come in sizes of 8” or 12" 16" and are 3D and have photos on every side of the letter. 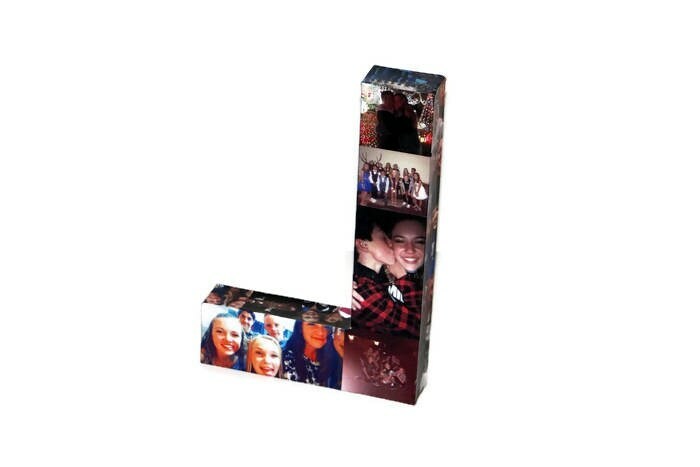 The letters hold about 50 photos for the 8” and 12” number and about 70 for the 16”. 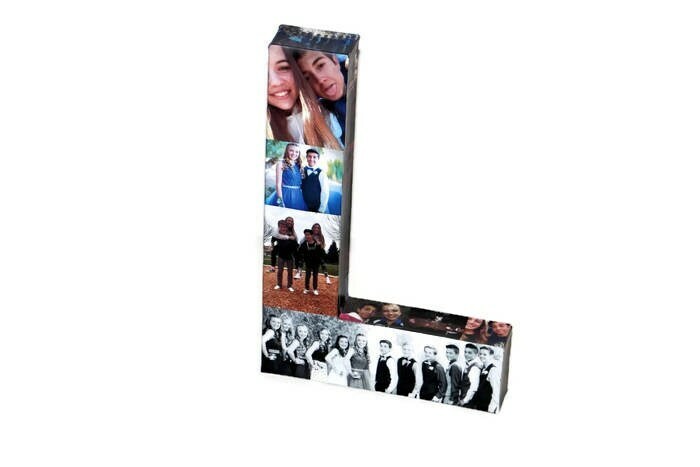 These letters can sit alone or be hung and photos can be viewed from every side. 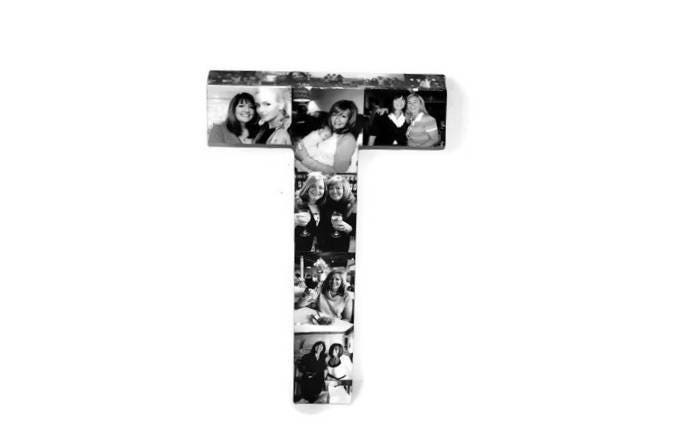 The letters are very sturdy and durable. Please also note that some letter may not stand like the letters F, and P in the 8", 12", 16" My customers love these letters! 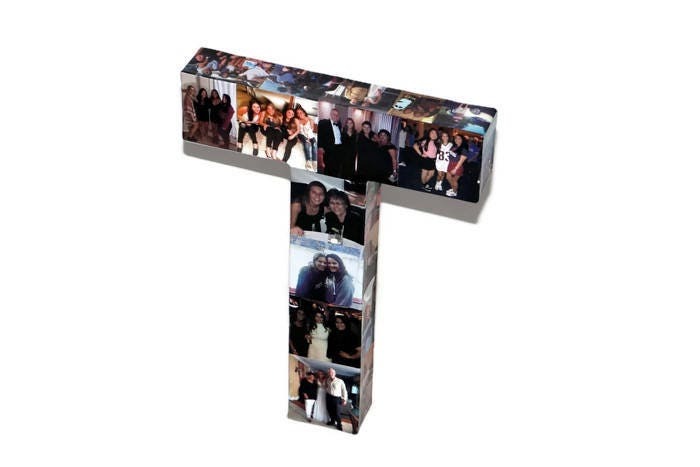 *Your email address so I can send you a dropbox where we will store and upload your photos. 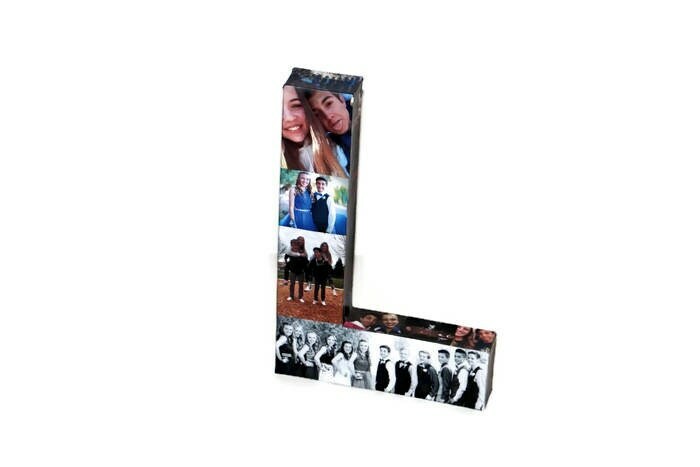 *The Letter you would like to put photos on. WHERE DO I SEND THE PHOTOS? All orders are shipped USPS PRIORITY MAIL which typically takes about 3-5 business days. We take pride in providing superior customer service and delivering products in a timely manner. Please check out our policies page for any questions you may have before purchasing. Please note that I may use your product as an example in my shops, please let me know if you do not wish for them to be used. Thank you!